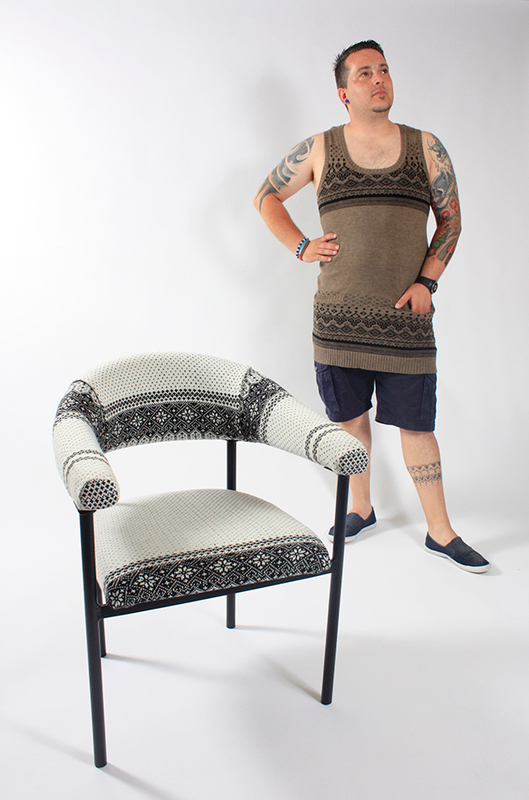 Could we make homeware from upcycled clothing? The rate at which we produce and throw away clothes is leading to inconceivable amounts of textile waste. According to the 2017 report by Pulse of the Fashion Industry, only 20% of discarded clothing actually gets reused or recycled. The majority ends up in landfills or gets incinerated. The reports says that based on the current rate at which waste is being produced by the fashion industry – from garment manufacturing to end of life – in 2030 alone, 148 million tonnes of solid waste will be produced. All I can think is, whoever works out how to turn all that waste into carpets, bricks, roads or something else the world really needs, is going to be very rich indeed. Feeling inspired? 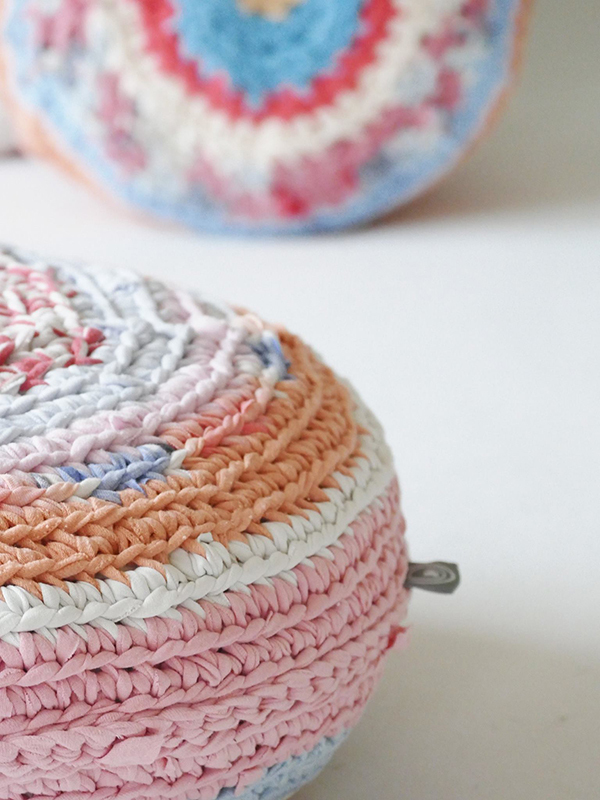 Start by taking a look at these designers, who have found creative ways to make upcycled clothing into covetable homeware. 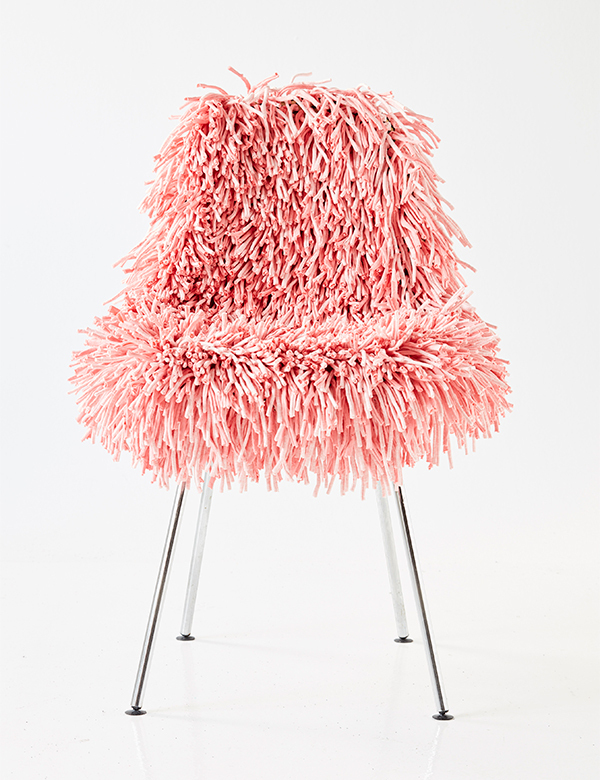 I can only imagine that sitting in this chair is like having a big hug from Sesame Street’s Mr. Snuffleupagus. 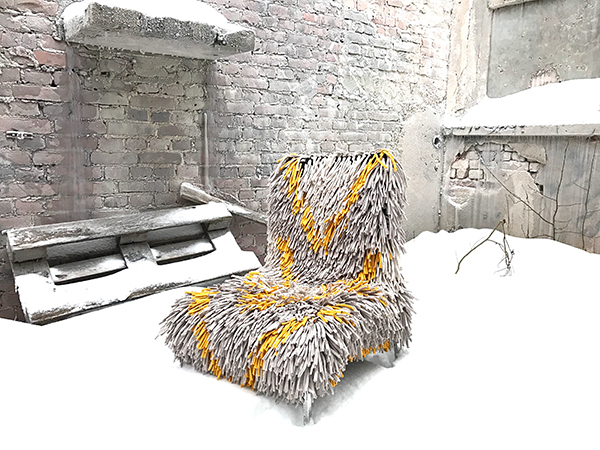 The hairy chair cover is by a Finnish company called Ragamuf who make use of surplus waste from the textile industry in Turkey, whilst employing Syrian refugee women who live there to make them. The project started with a successful Indiegogo campaign, through which you are still able to purchase the covers until their webshop is launched. Chair Rug Covers are available in Small and Big size and because they have stretch, they are able to fit a number of dining chair or armchair styles. Even better, the chair covers are washable. 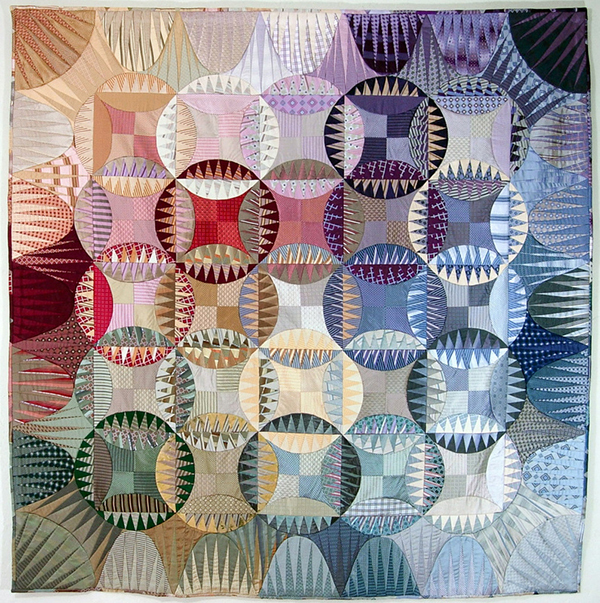 Maura Grace Ambrose is a contemporary quilter based in Austin, Texas. This is the Arkansas Quilt, #4 in her ’50 American States Series’. The design is inspired by Arkansas’ split topography of highlands in the northwest and lowlands in the southeast. It’s made from repurposed denim fabrics and on the backside is a whole cloth of striped vintage mattress ticking. 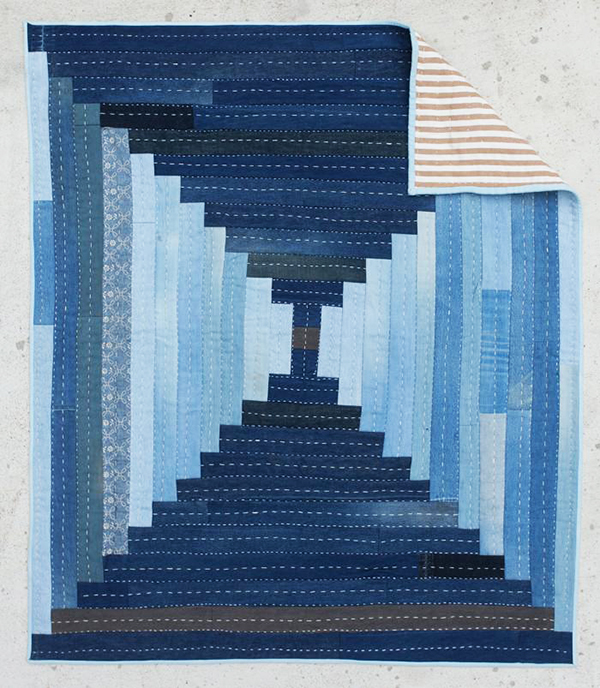 Here is her tutorial on how to make your own quilt from denim offcuts on Mollie Makes. 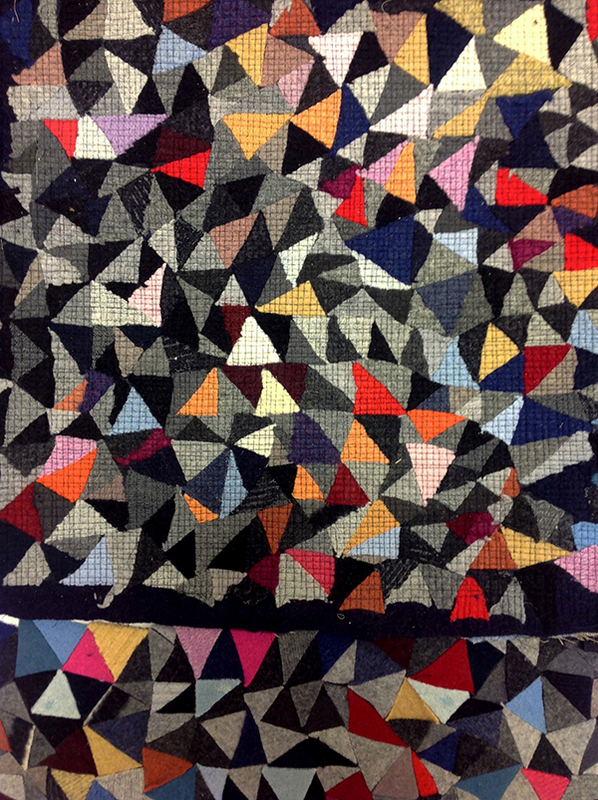 See more of her quilts on Folk Fibers. 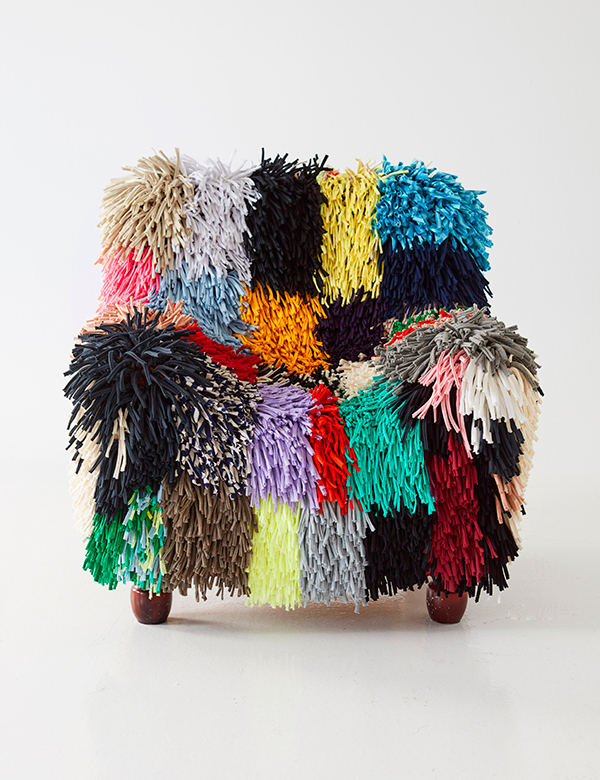 In 2012, Stockholm designers Katarina Brieditis and Katarina Evans set themselves the challenge of transforming old jumpers and t-shirts from the Salvation Army into beautiful rag rugs. The project ‘Re Rag Rug‘ involved producing one rug design per month for a year, using various knitting, sewing and crocheting techniques. Kasuri pictured above has now gone into production, in collaboration with artisans in India. The Confetti rug is made from tiny triangles of waste fabric stitched together. This year they collaborated with Muji on a stunning installation in Tokyo called Handscape made from Muji’s fabric scraps. 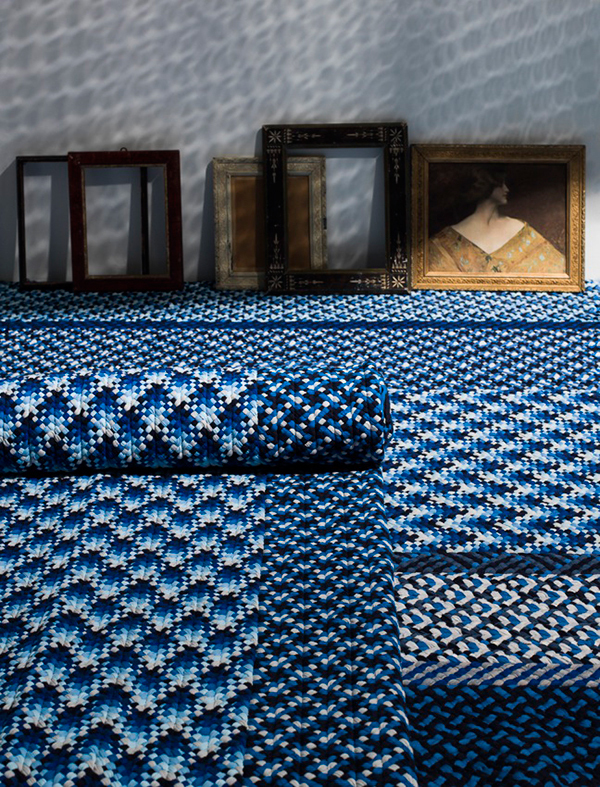 Lumikello is a German company creating stylish textiles for the home. 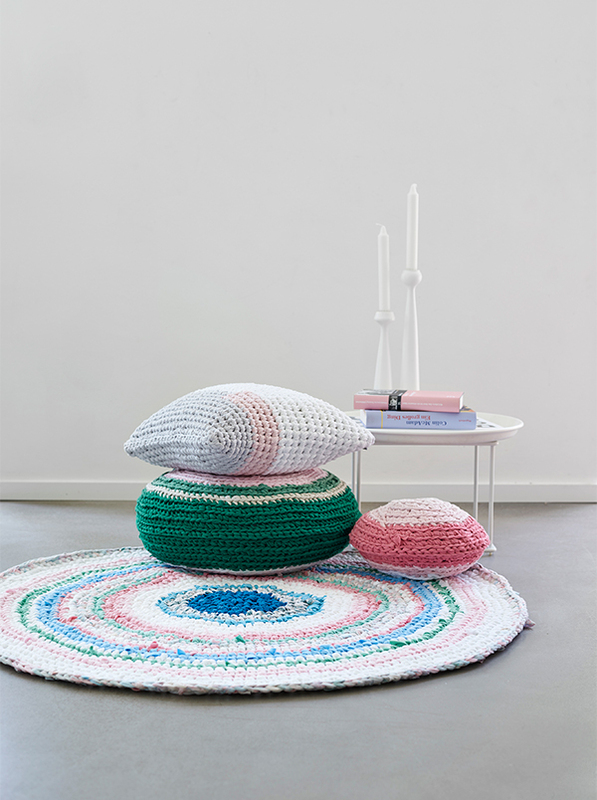 Rugs and cushions come in tempting candy colour combinations and are crocheted by a small team using discarded t-shirts, night gowns and sheets that are unfit for use. 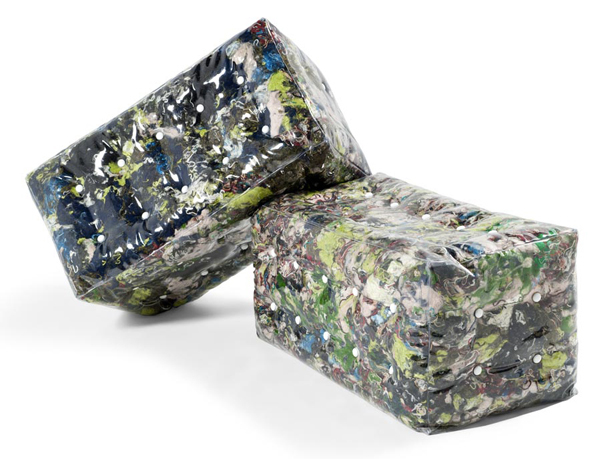 The ‘Rememberme’ project by German designer Tobias Juretzek involves a process of dipping around 13lbs worth of discarded clothes into resin and compressing them into a mould. 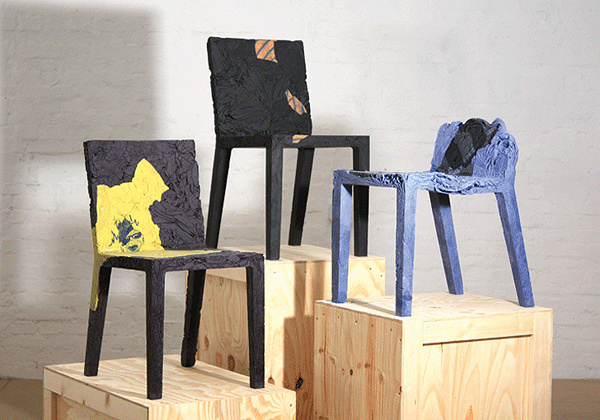 The result is a sturdy chair with smooth edges in a myriad of colour options. The collection, which also includes a ‘Rememberme table‘, is inspired by the memories associated with clothing and preserving things we wear during significant life events. Based in the rural idyll of Shropshire, The Chairhouse have upcycled otherwise discarded chairs with vintage pure wool jumpers to create the Ganzie. The Ganzie is defined by the Urban Dictionary as “Shetland dialect for a heavy woollen jumper or allover”. Jumpers are sourced for their quality and personality and chairs are produced in small batch runs. 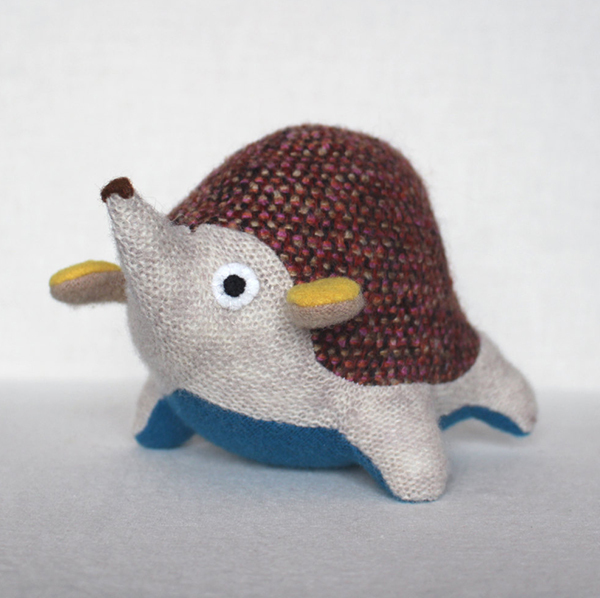 Woolly snails and whales to elephants and bears, these cuddly creatures are to be found at Darya Gardecki’s Etsy shop Woolezoo*. Each toy is inspired by everyday things and childhood experiences. 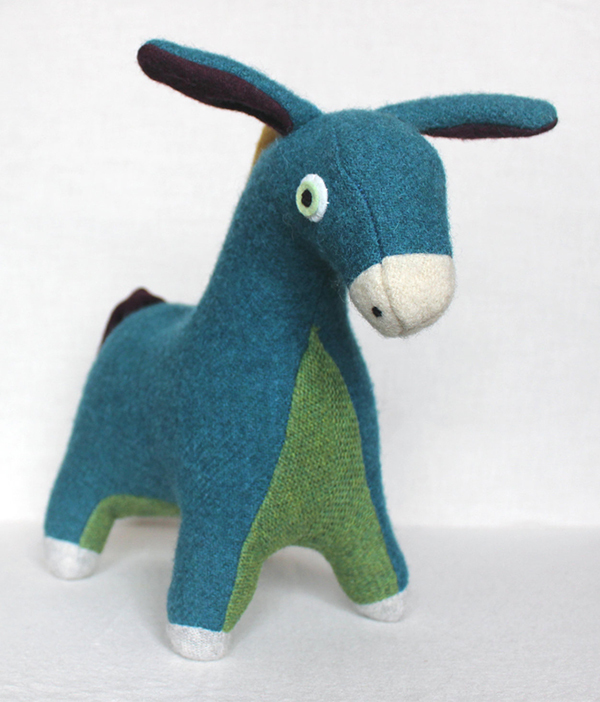 The toys are made in small batches with 100% recycled polyester stuffing and upcycled wool sweaters and suits. 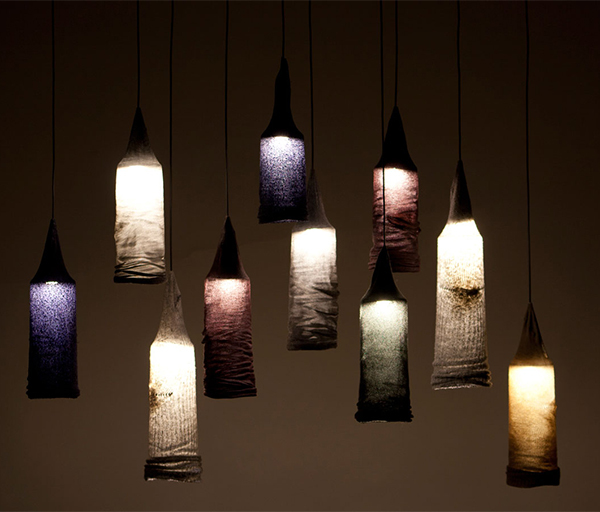 The socks used in Jay Watson‘s initial design for Sock Lights were sourced from the back of his own wardrobe. They have been treated with eco resin, derived from sunflowers and LED lights illuminate the ridges, colours and patterns in the textile. Other items in his portfolio include a table made from old Corian samples and seating made from woven newspaper. This is a project from 2011 by Belgian design studio Atelier Belge. ‘Plof’ was designed as a solution for various types of production waste. 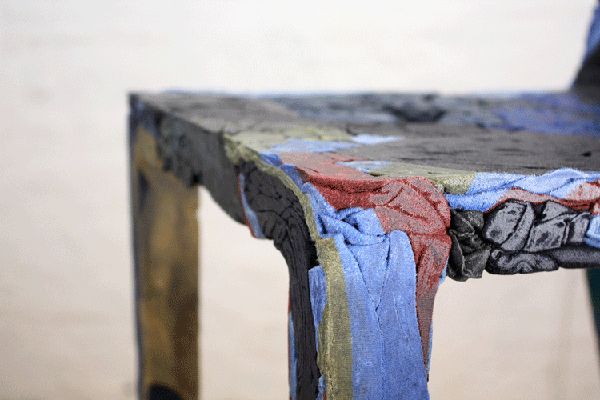 The furniture bench is made from textile leftovers which are shredded down and upholstered with PE foil. Several knots are added for comfort which also creates a tailored look. 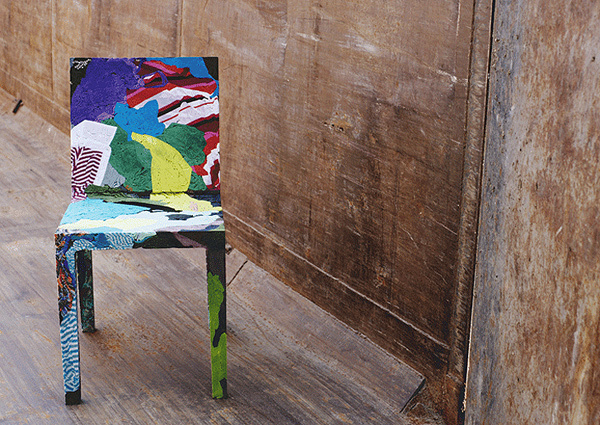 The result is an eye catching and colourful patterned seat whereby the design can vary depending on the textiles used inside.